At ATS Euromaster we offer a wide variety of tyre patterns suitable for a range of Mercedes vehicles. The tyres we provide for these models can be purchased online at competitive prices and fitted in one of the 330 centres we operate across the UK. 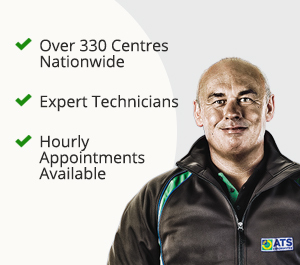 It is also possible to arrange for our mobile tyre fitters to come to you and fit your new Mercedes tyres at a time and a place that suits you. 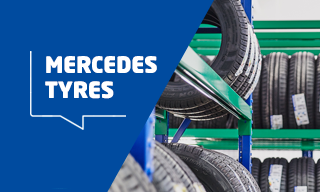 Mercedes has been working with tyre manufacturers all over the world for decades to create compounds that help motorists get the most out of their car. The patterns help to maximise the handling and performance of the German manufacturer's models in all conditions. The Mercedes A Class is a city car with a number of design touches that lift it to a new level of style and dynamism. The range is fitted with Pirelli P7 tyres as original equipment, providing low rolling resistance and reduced sound emissions to give drivers a more comfortable ride in the vehicle. When it comes to replacing the tyres, there are a number of pattern options available, with the Continental EcoContact 5 and Michelin Energy Saver, both providing quality when fitted to the A Class model. The Energy Saver cuts down on fuel consumption and offers low rolling resistance energy saving tyres. Exceptional grip on wet or dry roads is also provided through the asymmetric tread pattern. The C Class once again comes with Pirelli tyres fitted as original equipment. However the size range for this class of Mercedes cars is extensive, which means there are a number of potential options. Both the Pirelli P7 and the P Zero Rosso can be fitted to models within the C Class range, each providing motorists with top performance in all areas. The latter has been created for the sportier vehicles in the range. Its asymmetric design, longitudinal grooves and a tread divided laterally each meet a separate area of performance.